My optimism paid off. When Kate finally got up, she appeared to recognize me. Last week, I received a shipment of new clothes I had ordered for Kate online. I selected something for her that looked very nice. That made me think about going to lunch at Andriana’s since we are planning to be in Nashville on Sunday. When I checked with our server to see if she was working at lunch, she wasn’t. I decided to try another restaurant that is nearby, Sunset Café. Like Andriana’s it is a cut above the average places we eat, and we don’t eat there often. On the way, I played an album of Frankie Valli and the Four Seasons hits. Kate and I laughed about most of them. They are so dated now, but we still enjoyed them. We also had a good lunch. We are now back home where Kate is now resting on the sofa across from me. That is her customary pattern now. She has a hair appointment in thirty minutes. After that we’ll have another break before going to Casa Bella for opera night. That’s sure to be another hit. After a rough start, it looks like we will have yet another good day. If Kate were unhappy, frustrated, or disturbed, I could easily have been depressed yesterday. Instead, I am adding this to our long list of good days. It began in the morning and lasted until we turned out the lights for the night. Kate was in an especially good mood. 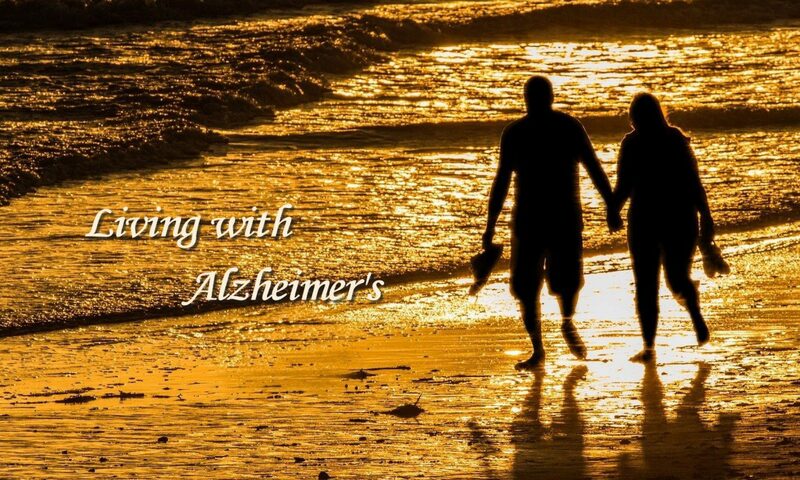 I don’t mean to suggest that her primary Alzheimer’s symptoms were any less than usual. As I mentioned in my previous post, she was especially dependent and insecure at 4:30 a.m. What was different was her mood. She was happy and contented. This was reflected in the way she responded to me and the sitter. After getting up in the early morning hours and again around 8:30, she slept until almost 11:00. That’s when I checked on her and found that she was awake but still in bed. I sat down beside her and told her I would like to take her to lunch. She smiled and said she would like that. Some mornings she lingers a good while before getting out of bed. This time she got up rather quickly, and we left for lunch about 11:45. On the way to lunch she asked my name several times. When we got to the restaurant, she continued to ask my name and hers. Consistent with previous occasions, she did not seem frustrated over not being able to remember the names. The style of the conversation was just like an easy one between any husband and wife or two friends. Anyone who might have watched us from a nearby table would never have imagined that she was asking my name, trying to repeat it, failing to do so, and asking again. This was another of those occasions when she wanted me to tell her about her mother. She loved hearing me tell her what her mother was like and how her mother and father met. She was also curious about our children, and I filled her in on them. In our conversations she keeps returning to her parents, her family, and our children. There is no mistaking their importance to her even if she can’t remember their names or much else about them. I love being able to tell her about them. I never tire of it even though it is something I need to repeat over and over and over. This is a sign of adapting. During the early years after her diagnosis, I could not have imagined deriving any measure of satisfaction as her memory vanishes. The people who know this disease say that caregivers need to live in the world of the ones for whom they care. Fortunately for Kate and for me, I am able to do that. It didn’t come overnight. It has been a long slow progression. On the way home, she asked me the nature of our relationship. I told her we were married. She was surprised. She wanted to know how long we had been married and if we had children. All of these questions were asked innocently as though we had never had the previous conversation while at lunch. As much as I see this, it always takes me aback when it happens. When we walked in the house, she asked me if she could take a nap. I told her that was fine. She brushed her teeth and then proceeded to get in bed when the sitter arrived. Mary walked over to Kate and gave her a hug. Then she said something that really surprised and pleased me. She told Mary that she was glad to see her, that she wouldn’t want to stay at home by herself. I told Mary that I was about to put in a DVD for them to watch and asked if they had any preferences. They quickly agreed on Fiddler on the Roof. I set it up for them and started to leave. Then Kate said, “She’ll take care of me. Well, we’ll take care of each other.” I left feeling good. When I returned, they were in the family room where Kate was looking through “The Big Sister” album that her brother Ken had made for her. Mary left, and I sat down with her and went through the album for another twenty minutes. I really enjoy seeing her go through the album. She gets so much pleasure from seeing pictures of herself, Ken and her family. I know this is exactly what Ken was hoping for when he made it. This is something else that provides joy for me as well. It is a very simple pleasure but a powerful one. It wasn’t long before Kate was ready for dinner. We left for our Friday night pizza. When we got home, we relaxed in our bedroom. Kate worked on her iPad while I watched the evening news. Then I turned on a YouTube video of Messiah. After we got to bed, I told her I loved her. She responded the way she has on several other nights. She laughed. When she does this it is because she thinks we are in the early stages of our relationship, and it seems too early for love. I said, “You love me, don’t you?” She said, “We’ll see.” I said, “I guess we could just go on living together.” In a serious tone she said, “Don’t ever say that again. I’m surprised you would say that at all.” This situation seems so incongruous. We were lying close together, and my arm was around her. A few minutes later she asked, “Where are we?” I told her we were in our bedroom in Knoxville. As we were leaving for lunch, she decided to use the bathroom. She pointed to the door beside her and asked, “Is this a bathroom?” I confirmed her suspicion. It’s just another indication of how the house is becoming less familiar to her.